Introduce your child to the early learning concepts of building and construction with the Zephyr Mechanix motorbikes. 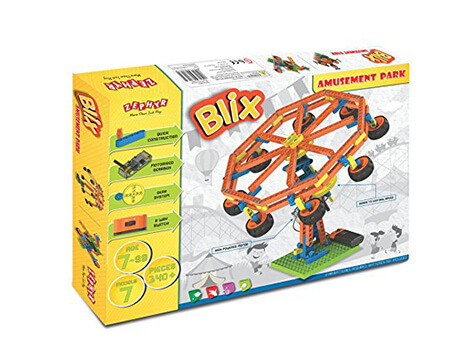 Little kids are very deft with their fingers and this motorbike model set is a great way to help develop finger dexterity and hand-eye coordination. 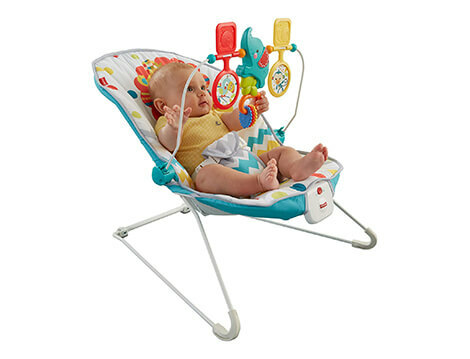 Ideal for kids aged seven and above, you absolutely have to add this toy to your child's collection. A user-friendly instruction manual clearly gives out a step-bystep process to creating fantastic motorbike models. 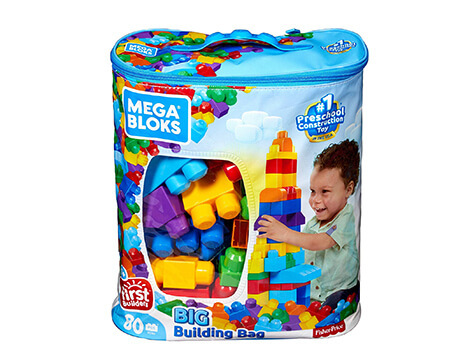 Each of the 152 pieces in this Mechanix building set is made of strong metal, assuring you of its long-lasting nature. Your little one can create up to 14 unique motorbike models, sure to delight them to no extent. Apart from being a great way to develop logical and strategic thinking. 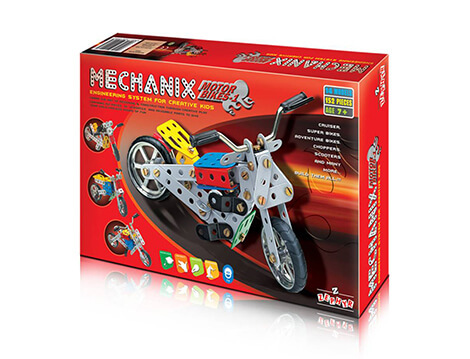 Mechanix 152 pieces Motorbikes also teach kids about the fundamentals of building and construction. It might inspire them to take up art, building or design later on as a career choice. Create and design the most innovative bike models with your child and watch their creative side explode out.